With great pride, I fully admit to buying wines from Lidl, the once very trashy supermarket chain. They often have wines that pique my curiosity and the prices are such that they’re impossible to beat. This has netted some winners in the past and is interesting enough to keep me going. This particular wine is from DO Cariñena which, despite having the same name as the grape, Cariñena (or the French “Carignan” we use in English) produces mostly Grenache which is what you see here. Of course it just barely squeaks in for varietal labeling given that Grenache is at 85% of the total blend. As an aside, this is more misleading in the US where your “Cabernet Sauvignon” from Napa Valley can have 25% of whatever in it and still be called as that grape on the label which is just weird. But this wine wasn’t the find that the Châteauneuf linked to above was. Find, dependable, and Spanish-y, it didn’t really do much to excite me and was feeling a bit much like a hot weather wine with its stewed fruit notes. 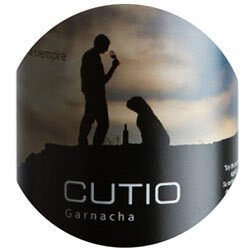 At the price, not bad, but at the same time, I feel that there are more exciting wines in Cariñena to be found. For instance, those from Pago Aylés where this wine is apparently produced who hold a Vino de Pago that I tasted at Vinisud recently and was decently impressed with. Dark ruby in color. Dark cherry, vanilla spice, licorice cloves, varnish. Red fruits in the body, a bit stewed, medium plus acidity, medium body. Surprising amount of alcoholic bite. Seems more like a warm climate Syrah than Grenache ultimately.